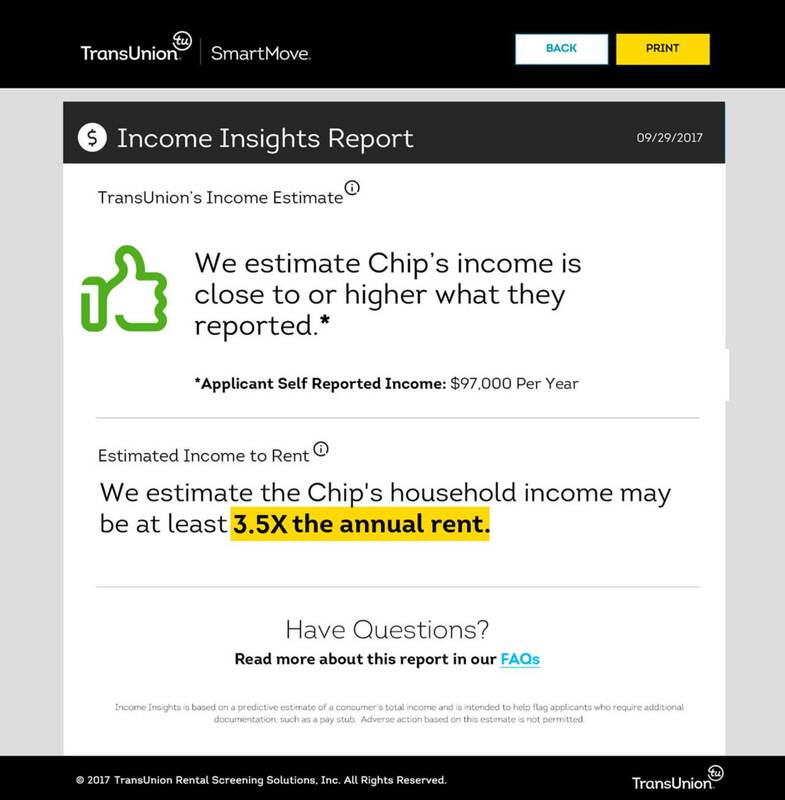 TransUnion SmartMove is in the business of helping independent landlords identify good tenants through our comprehensive screening platform, which includes credit history, eviction history and criminal background checks. Now, we’re excited to launch a new report designed to analyze an applicant’s income—Income Insights. A TransUnion survey found that payment problems ranked as the top concern by 84 percent of landlords. They have a good reason to be concerned: the cost of eviction resulting from nonpayment can run up to $10,000 in court costs and legal fees, including the time and expense to fill an unexpected vacancy. An estimate of whether or not the applicant’s credit behavior aligns with self-reported income. An estimated variance between the applicant’s self-reported income and the Income Insights estimate. A recommendation of whether or not to request additional proof of income from an applicant, such as a recent paystub. Payment problems are an issue no landlord wants to deal with, but verifying tenant income can be time consuming. 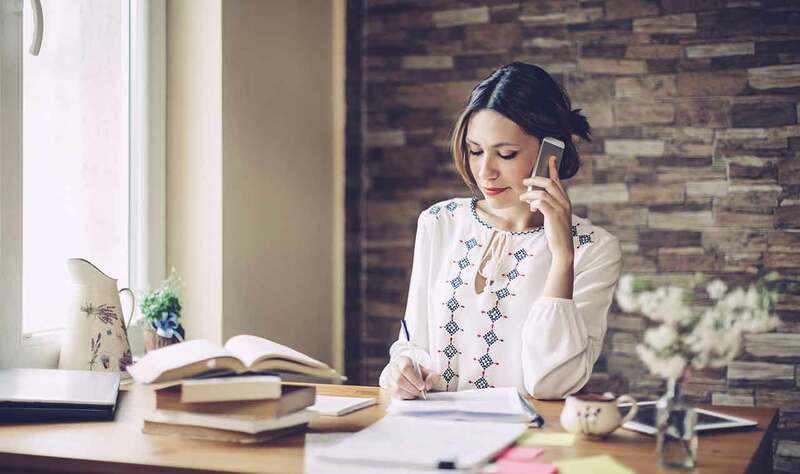 Calling employers, checking paystubs, and validating alternative sources of income all take time and effort, something most busy landlords don’t have. Income Insights can help landlords skip this time-consuming step altogether. Landlords receive a clear, easy to read Income Insights report in just a few minutes, telling them whether conducting additional income verification is recommended for an applicant. If the Income Insights estimate shows the applicant’s income is close to, or higher than the amount they self-reported to SmartMove, the landlord can feel more confident in skipping additional income verification. 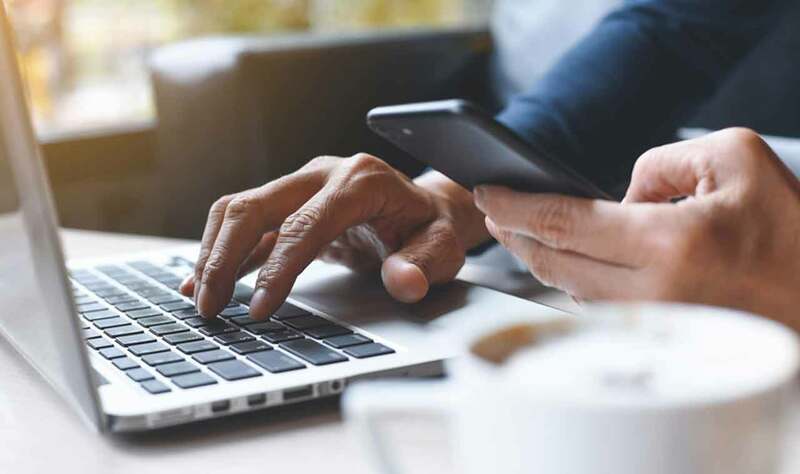 Many income verification services rely on a paystub verification system, but those don’t work for everyone, either because the paystub isn’t available online or the applicant doesn’t receive a paystub from his or her employer. Because the Income Insights estimate is based on the applicant’s spending behavior from their credit report, it is designed to estimate total income, including non-work related sources such as retirement distributions, pensions, social security, and alimony. With the increasing population of baby boomers entering the rental market, many of whom are retired, Income Insights offers important insight into the income of renters who may not have a paystub. Verifying income often takes hours or even days to complete. This time-consuming process increases the amount of time your property sits vacant, leaving you responsible for mortgage payments, utilities, and other fees. Income Insights is delivered in minutes so you can make even quicker leasing decisions and quickly fill the unit. Along with credit, criminal, and eviction history, you can quickly evaluate your applicant’s self-reported income and approve them today. With a comprehensive view of your applicant’s background delivered in minutes, you’re able to reduce tenant turnover time and increase your profitability as a landlord. Income Insights is delivered from TransUnion, a trusted credit reporting agency with over 40 years in the industry. Income Insights was built using a statistical model to analyze an applicant's spending and payment behavior from their credit report to estimate income. This information may include monthly credit card expenditures and payment patterns; 30 months of credit card history that looks at the percentage of debt against card limits; and revolving behavior and payment ratios that reveal a consumer’s ability to pay down debt obligations. When building the Income Insights model, we validated the output verified salary information reported to the IRS. However, it is important to remember that Income Insights provides only an estimate of a prospective tenant’s income and not the exact monthly or annual income. For a nominal fee, you can save time and effort verifying renter income. Income Insights is available for just $2 more when you upgrade to the SmartCheck Premium Bundle. You’ll receive all the reports available in the SmartCheck Plus package, plus the addition of Income Insights. Avoiding renter payment problems is now easier than ever with Income Insights. Landlords receive the information they need to better evaluate whether their applicant can afford the rent in addition to a credit report for renters, tenant history check, and eviction check. With a comprehensive view of your applicant’s background delivered in minutes, you can make quicker leasing decisions and keep the rent check coming on time.